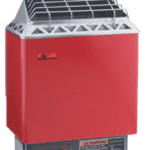 The Polar HMR 45 is a 8,000 watt (8.0 kW) electric sauna heater designed for rooms 250-425 cubic feet. Sauna hot room height for the HMR 80 should be between 6’4 and 8′ with a minimum floor size of 31 square feet. This may be an excellent choice for your a large 5-10 person home sauna. 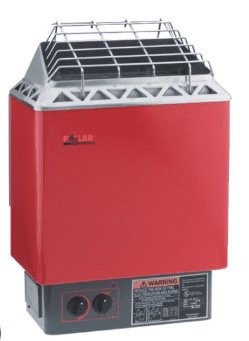 The Polar Designer Electric Sauna Heaters come in 4.5kw, 6kw, and 8kw versions. 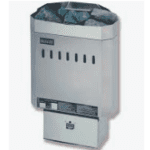 The HMR Designer Series models are wall mounted electric sauna heaters with ETL and UL listings and can be ordered for commercial and non-commercial use. 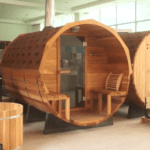 Polar Sauna USA is located in Cocato, MN – but these heaters are built and assembled by TyloHelo. The outer casing and rock cavity are made with aluminum-zinc alloy, the outer cover is cast aluminum and the grill is stainless steel. The unit does not come with an electric plug and should be wired by a qualified electrician. Make sure your electric service is adequate and you have room on your electric panel. 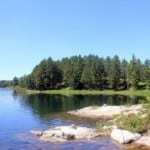 The stove is designed to handle the traditional sauna practice of dropping water on the rocks to create steam. 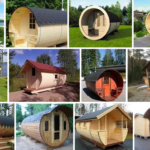 They have a stone capacity of 50 pounds and ship with 50 pounds of volcanic sauna rocks. 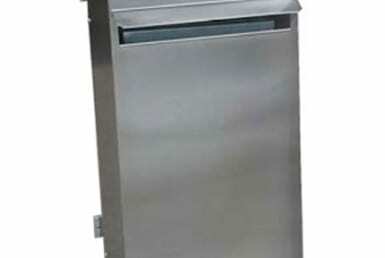 Polar HMR series heaters come standard with timer and delay functions mounted on the bottom front of the unit. 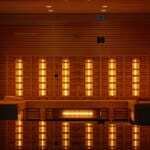 The controls include a basic 60 minute timer with a 1-8 hour delay function, allowing the sauna to be set up to 8 hours in advance. If you need need outside or wall-mounted controls you must purchase a HNVR 80 SC sauna heater if you wish to stay with the Polar brand. Polar offers a one year limited warranty. 3 Stainless steel 2670 watt heating elements. (1 phase, 240 volt). Replacement heating elements for the Polar HMR 80 can be purchased here. Polar offers factory closeout and scratch-and-dent discounts by contacting their factory at 800-346-6536. 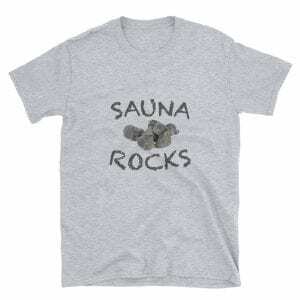 Sauna Rocks: Comes with 50 lbs of Volcanite sauna rocks. Controls: On Heater. 60 minute timer and 8 hour delay function. w/ 33 Lbs of Stones $690 / USD 4.5 240 Volt 210 Cubic Feet 3"
w/ 50 Lbs of Stones $790 / USD 6 240 Volt 310 Cubic Feet 4"
w/ 50 lbs of Stones $879 / USD 8 240 Volt 425 Cubic Feet 5"